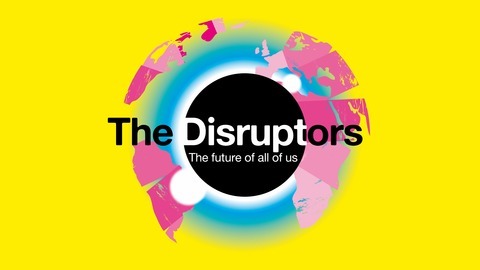 Welcome to The Disruptors, the podcast about the future of all of us where look at the technologies, trends and societal norms shaping our collective future. 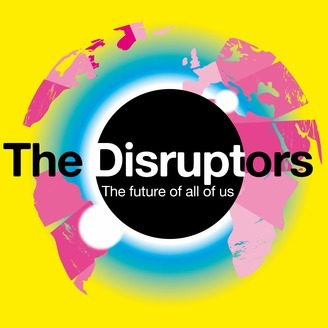 Here the world’s disruptive top minds share their passion projects and how advances in genomics, space travel, connected devices, artificial intelligence and other exponential tech is converging to create the future of tomorrow. Two minds are better than one, and the purpose of this podcast is to create a worldwide “neural network” of connected human creators to tackle society’s big problems like climate change, aging, inequality, disease… you name it. The #1 problem plaguing humanity is short term thinking. If in-depth, unscripted conversations with the scientists, startups and thought leaders daring to dream bigger is your cup of tea, you have come to the right place. Scarcity and abundance are fundamentally at odds and as we enter this autonomous era of great societal change, innovation and apolitical conversation are more i.
Steve Sammartino (@sammartino) is an entrepreneur, futurist, author and public speaker focused on finding the truth and creating the future. He has had multiple tech startups and launched one of the first sharing-economy startups Rentoid.com, before Uber or Airbnb, and sold the company to a public company. Steve now invests in emerging technologies and has multiple advisory board positions. He is heavily involved in the startup scene in Shanghai, a passion for the culture and even speaks Mandarin. Steve collaborated with Raul Oiada to launch the world’s first Lego Space Shuttle into space to an altitude of about 35,000 meters and developed the world's first life-sized, drive-able Lego car with a compressed air-powered Lego engine. He's also the author of The Lessons School Forgot and The Great Transition, both books which examine the future of technology, work and jobs., both books which examine the future of technology and work. You can listen right here on iTunes In today's episode we discuss: How Steve sent a LEGO space shuttle into space on a shoestring budget with help from a random Skype connection The power of problem-solving and learning on the fly to disrupt education Why Steve is incredibly bullish on blockchain What technologies Steve is most excited about and how they'll transform our world The importance of Amara's Law and understanding technological adoption Why social media is pushing our farther and farther apart and probably the biggest threat of all Is AI good, bad or indifferent to humanity's goals Why space is the next frontier and the proliferation of smartphones makes new things possible Why venture capital is such a negative and destructive force on the world How Steve started the first sharing-economy startup and why it ultimately wasn't a huge success What Steve's daughter learned growing a pizza Which investment will pay the biggest dividends in the long run Make a Tax-Deductible Donation to Support The Disruptors Make a Tax-Deductible Donation to Support The Disruptors The Disruptors is supported by the generosity of its readers and listeners. If you find our work valuable, please consider supporting us on Patreon, via Paypal or with DonorBox powered by Stripe.